10Ct! of bling for your wrist!! Not 3 nor 5 and not 7 but 10! Even better 10 with a bonus of .01ct!!! No fine print saying may only contain 9.90 actual ct weight like many on the market! 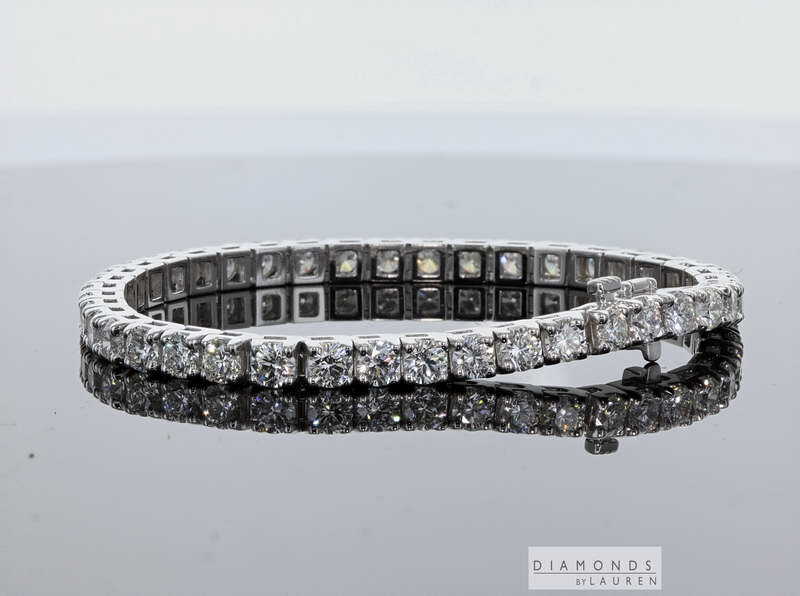 This stunning bracelet is made from 18k Gold and is 7 inches long! It is made for a lifetime of wear, not super fragile like many discount store bracelets. It is made of 18k gold which contains much more gold than a 14k bracelet. Although the piece may ostensibly look like many other bracelets - it is actually a one of a kind. The stones come from the legendary Sam Spade's vault. Easy to do the math here - you're paying $1850 a carat for 10 carats worth of hand picked eye clean 1/4ct diamonds - and that's not accounting for the gold and labor. We can't repeat at this price.